My travels through my childhood region of South Florida in recent months allowed me to bore into a few more angles of the algae story. Much of what the public is being told about Lake Okeechobee water and its connection to green algae in coastal waterways is simply not true. The facts remain the facts, and this issue is as hotly debated as ever this election year. 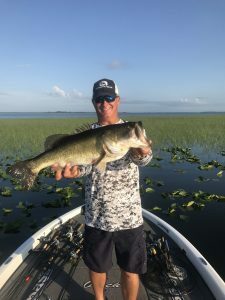 According to the local fishermen who know best, the fishing in Lake Okeechobee has been great this year, and the water in the lake has been just fine for the fishing the lake is famous for. This article discusses fake news, false accusations and the misleading politics of Florida’s green algae issue. Also included are some common-sense suggestions for what some feel could lead to more logical and maybe even cheaper answers to help successfully address the green algae problem. The South Florida green algae debate has become a huge political football in so many ways this year, proving that so-called “fake news” can cut both ways. Politicians in both parties appear to be fine with pushing false information if it means they can coax a few more votes from a misinformed public. A good place to begin is with the latest regional water flow maps from the South Florida Water Management District. The maps again point to the fact that the vast majority of the water going into estuaries, where the green algae has been the worst, comes from local watersheds, not from Lake Okeechobee, and not from farming areas south of the lake. Click here to see these latest maps. Ironically, some folks who know best about what is real and what is not when it comes to Lake Okeechobee and its water, are the same people with local businesses paying the highest price as a result of misreporting of the facts. Fishermen who make their living on Lake Okeechobee, for example, tell a completely different story. Fulford says he and his neighbors feel those coastal algae issues are problems with their own water on the coast, noting the fertilized lawns, septic tanks and vast urban growth that continues along the canals experiencing the algae. Click below to hear more from Fulford about this, in his recent exclusive interview with me. 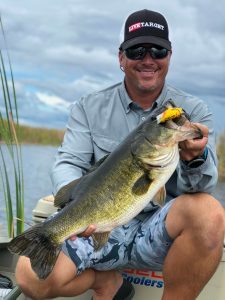 Scott Martin, another popular fishing guide and a TV fishing show host from Clewiston, agrees. “I fish Lake Okeechobee all the time. There’s no fish kills. There’s no gigantic algae blooms. There’s the natural algae that occurs in all lakes that happens everywhere.” Martin points out that this natural algae is much different than what is growing in the estuaries near both Florida coasts. Many of the people throwing blame around and using misinformation about this issue for their own purposes have not taken local people up on their offers to spend time with them to discover these facts for themselves. Martin, Fulford and other Lake Okeechobee fishing guides say the false reporting and continuous misinformation being pushed by politicians, environmental groups and others are hurting the image of the lake, their businesses and communities, and thwarting efforts to make real progress on more logical and real solutions. Martin points out that ideas being promoted by some to raise lake levels to store more water, or to lower lake levels extraordinarily to allow more water to be held back, are both bad ideas for the lake’s health, the fishing, birds, wildlife and the water quality and flow. He says neither of these ideas will help solve any of the problems people are trying to deal with, and would likely make things much worse. 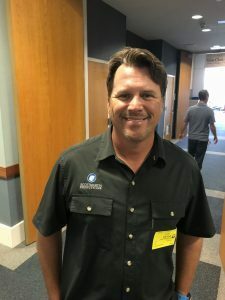 Both of these fishermen have some common-sense ideas they feel would help to better, and maybe more quickly, solve the algae issues the coastal areas are experiencing. Martin has a more specific vision of a plan in mind that he says would allow most all parties involved to gain ground toward solving the issues of concern. The idea involves letting the lake become healthier by allowing its aquatic vegetation to thrive. He says developing a plan to enhance and maintain the plant life in the lake more properly is the key to cleaning the water flowing through it, and to keeping the fish and the entire ecosystem cleaner and healthier for all. 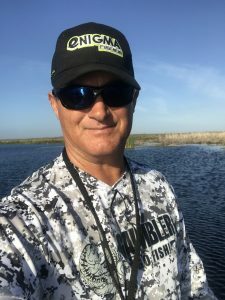 “We need to start paying attention to the aquatic vegetation in Lake Okeechobee. 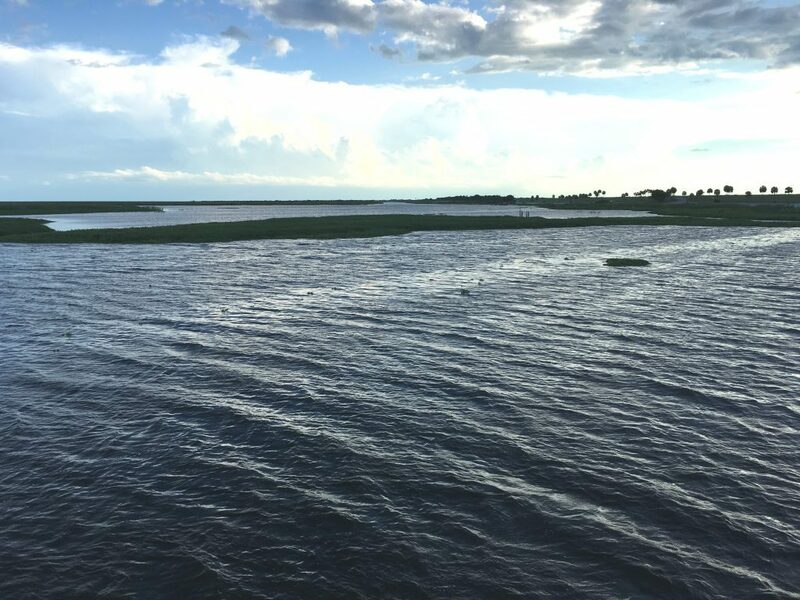 It seems we’ve all been worried about what water levels are, and what discharges are, but nobody is really worrying about the filter in Lake Okeechobee,” Martin explains. “All the water ends up in Lake Okeechobee, so it makes no sense to me that we’re not treating Lake Okeechobee as a gigantic filter. “We keep mismanaging the water levels. They keep killing the vegetation, the submerged vegetation we have in the lake, and it is at an absolute 100 percent, all-time low that I’ve ever seen it. That’s due to hurricanes, it’s due to mismanagement of water, and it’s due largely because there is no ‘management’ of aquatic vegetation in terms of a filter. Both Martin and Fulford have much more to say and more suggestions for answers in the recorded comments from our interviews included in this article. Take a few moments to listen to their concerns and ideas for solutions that somehow are being ignored by most everybody involved in this raging debate. We hope you will feel free to forward this to some of the politicians in both parties who are getting their facts wrong. We’ve covered this issue on several occasions and will continue to post facts based on the scientific studies and other information that we can confirm to be accurate. These stories remain in our archives on this website. Gary Cooper is the founder and president of AgNet Media, Inc.